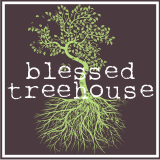 Blessed Treehouse: Go give your family a hug. And don't let go. Go give your family a hug. And don't let go. I haven't blogged in weeks because of, you know, life and stuff. And I've slowly but surely been uploading and downloading and editing and captioning in the hopes of getting back on the bloggy wagon. But over the weekend my sweet friend Marla's life was flipped upside down, and ever since, I just can't think of anything worth blogging about. On Saturday, Marla nearly lost her husband, Gabe, as he suffered a heart attack. Marla and her three precious girls watched helplessly as their husband and dad nearly lost all ability to breathe and was swept away in a medic. I simply can't imagine. I simply can't imagine releasing the love of my life into the hands of paramedics so that they could rush him to a hospital, not knowing if I'd ever see him alive again. Did I mention that my husband and Gabe will both turn 35 this month? It gives me chills. Praise be to God that Marla did see her living and breathing husband again. By the grace of God, Gabe's doctors saved his life by unblocking the artery and putting in a stent. Thank you, Jesus. Thank you. And thank you, Jesus, for my family - my husband, whose health I all too often take for granted. Thank you for our precious children, two of which are barreling across the living room as I type, and one who is kicking the piss out of me - literally. I'm sad that it takes another family's nightmare to make me hold mine a little tighter. And as I think of celebrating sweet Marla today (it's her birthday!) all I know to do is to savor every stinkin' moment that God has given me with those who mean the most to me. We love you, Gabe, and we are praying ceaselessly for you and your family. Hugs to you and your friend, Ali! This is beautiful. You're beautiful. Thank you. I love you. And that crazy awesome family of yours too.